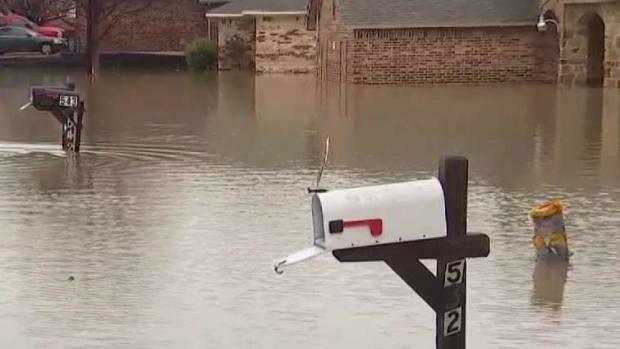 Almost two dozen homes have been evacuated in Rockwall after days of heavy rains overflowed a neighborhood lake on Thursday. "I've been here nearly 35 years and I've never seen it like this," said Sgt. Jeff Welch, spokesman for the Rockwall Police Department. Residents in the 500 block of Lakeside Drive were told to evacuate as the water from Lake Rockwall steadily rose. Police say 15 to 20 homes have water inside. Across the lake, several more homes were saturated by the muddy flood waters on Eva Place. Nancy Fortuna has lived on both sides of the lake. Her home escaped damage, but she watched as many of her neighbors cried as they evacuated their homes. 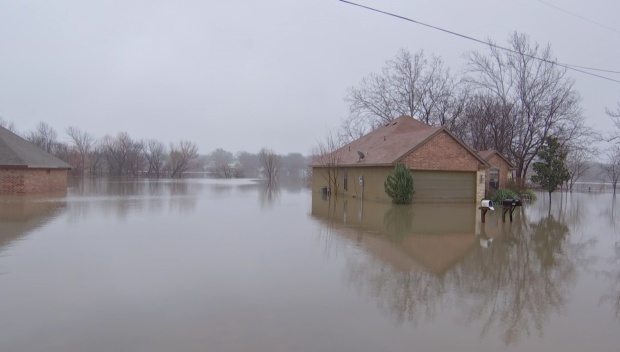 "I didn't think it was going to rain this bad to make it flood like that," Fortuna said. "What if it gets to us, too? It's kind of scary." 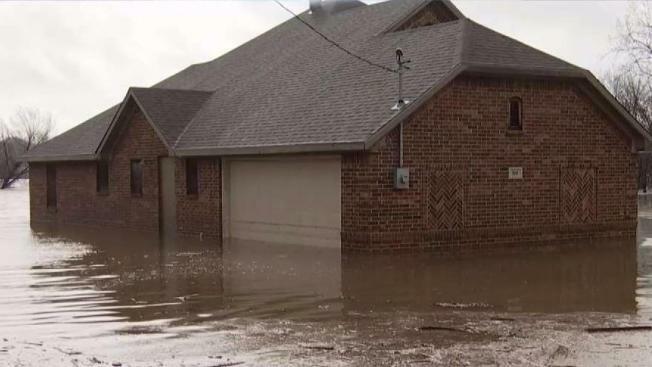 Several homes have been evacuated after their homes were flooded when Rockwall Lake overflowed Thursday afternoon. Authorities recommended voluntary evacuations after runoff in Buffalo Creek overflowed the lake. Elizabeth Silva's daughter was emotional as she and her three children left their home. She's lived near the lake for nearly four years. Silva said the water has never threatened the four-foot retaining wall in the back yard, until Thursday. "At nine o'clock she said it was fine. She looked at the lake and never imagined it was going to happen," Silva said. "She said it was so quick. In less than an hour the lake started coming over." No one was injured, and those impacted were given hotel vouchers. "Emotionally, she's so sad," Silva said of her daughter. "She was crying a lot, and I held her and said it was going to be OK."
A few homeowners returned Friday to pack up some belongings, while others nearby worried about their own homes not yet flooded. "We're just kind of worried, we're just kind of waiting and seeing if, you know, we're going to have to leave out house, if we're going to lose everything," said Natalie Flores. "Just kind of scary and crazy." The group Texas Baptist Men plans to help the affected homeowners. "Once the water has receded, we will come in and take the drywall out that has been affected and spray for mold," said Tony Rolater, who spent part of the day Friday surveying the damage for the group. Officers will patrol the area overnight to watch for looters. NBC 5's Cory Smith and Kevin Cokely contributed to this report.